There are a few manufacturers in the vaporizer industry that you can always count on to produce high-quality, innovative products time and time again – and Dr. Dabber is one of them. Featuring first of its kind SnapTech Magnetic Technology, the Aurora offers something completely unique for dab enthusiasts. While other manufacturers were busy replicating the G Pen and producing other cheap Chinese re-brands and knockoffs, Dr. Dabber was busy building the first truly upper echelon wax pen: the Ghost. 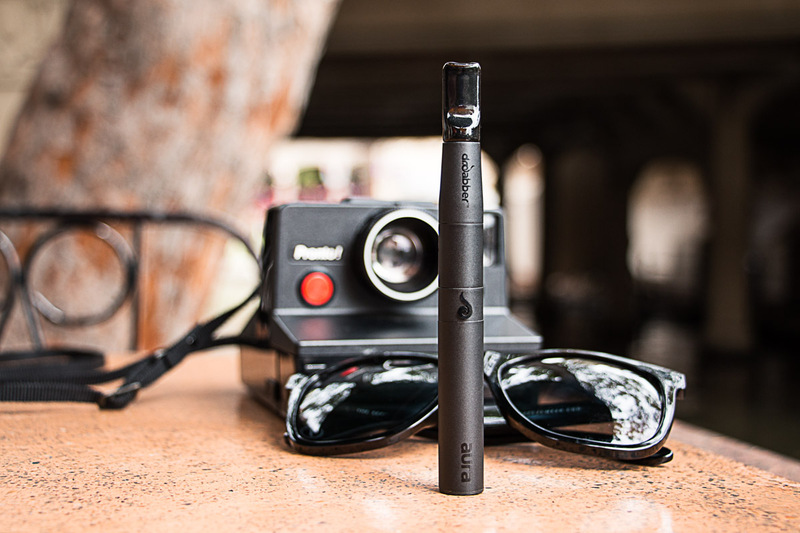 Unlike wax pens before it, the Ghost was the first to utilize titanium coil technology – which heats wax more slowly than traditional coils – eliminating the burned, charred, electric taste typically associated with vape pens. 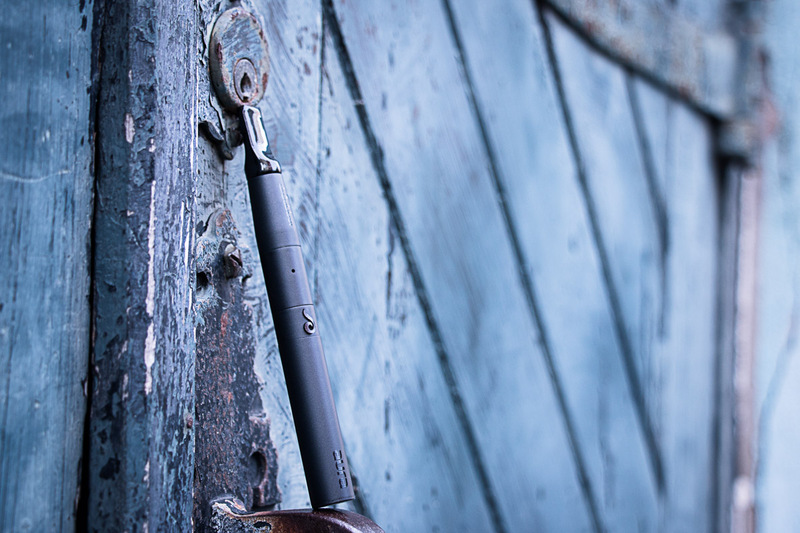 Since then, titanium coils have become an industry standard (at least with more reputable brands), and the Ghost has become one of the most popular pens on the market. So when we received word that there was a new Dr. Dabber pen on the horizon, we couldn’t hep but wonder: What sort of improvements (aside from more advanced atomizer options) could possibly be made to an already outstanding product? That question was answered as soon as we opened the box and saw Dr. Dabber’s latest wax pen innovation: the Aurora. WHAT’S NEW WITH THE AURORA? While the shape of the Aurora is nearly identical to the Ghost, that’s about as far as the similarities go. Like the Ghost, the Aurora consists of three parts: the battery, atomizer & mouthpiece (with chamber connector). However, it’s the way in which those parts fit together that set the Aurora apart from every other vape pen on the market. 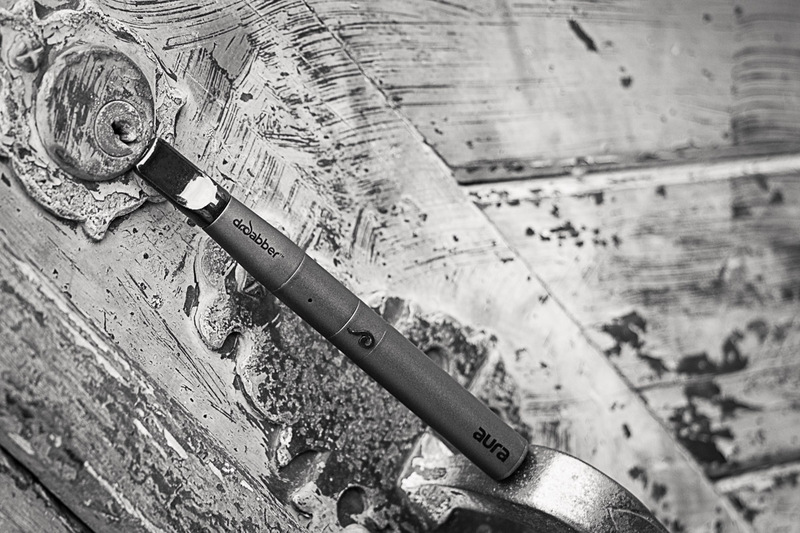 Instead of traditional 510 threading which requires attachments and parts to be screwed into place, the Aurora is the first ever pen to utilize Dr. Dabber’s state-of-the-art ‘SnapTech Magnetic Technology’. Each component features powerful magnets, allowing you to quickly snap the different parts on and off. What’s interesting is that the magnets aren’t visible at all. We we’re half expecting to be able to see the exposed connectors when you pull the pieces apart – but upon inspection – everything looks very clean and well-crafted. At first, we were a little concerned as to how secure the magnetic connection would be. However, after a few days of putting the Aurora through its paces, we saw no sign of degradation, and had no issues of parts snapping off it our pocket during transit. Only time will how the strength of the magnetic connection will hold up after more long-term use, but our past experiences with Dr. Dabber products and their customer support team certainly sets our minds at ease. This is a really interesting technology, and something you’ll undoubtedly see replicated by other manufacturers going forward. The only foreseeable downside of this is limited compatibility. Since most pens feature universal 510 threading, users have a lot of options when it comes to replacing atomizers. Aurora owners, however, will be limited to Dr. Dabber’s SnapTech enabled attachments. A lot has changed since the old days when ceramic rod and wicked atomizers were the toast of the town. Manufacturers like Source and KandyPens have helped move wax pen technology forward with the release of dual quartz rod atomizers, as well as flat ‘donut’ style ceramic atomizers that eliminate exposed wicks and wires. Keeping up with the times, Dr. Dabber has included their versions of the aforementioned atomizers with the Aurora, as well as a classic dual ceramic rod atomizer. The reason we’re seeing so many manufacturers ditching ceramic and going with quartz is due to the inert nature of glass. If you’ve ever used a wax pen in the past, you’ve undoubtedly gotten that ‘burnt taste’ towards the end of your session, when you’re essentially inhaling burning ceramic and coil. With these new quartz crystal rod atomizers, taste is greatly improved, and draws seem to be less harsh (plus the quartz rods look really frickin’ cool). What others have referred to as a ‘donut’ style atomizer (flat ceramic without exposed wicks/wires), Dr. Dabber has dubbed the ‘ceramic halo’. Unlike traditional atomizers, the halo doesn’t utilize standard coil-wrapped rods. Since wax burns on the ceramic dish, and never comes into contact with a hot coil, dabs burn more slowly and at a lower temperature. While this also has an affect on taste, the main draw of these halo style atomizers is that they help conserve your precious concentrates. While we’ve never been huge fans of these types of atomizers, it’s nice to have the option. While this dual ceramic rod atomizer is nothing groundbreaking, the fact that it incorporates a quartz dish and titanium coils help set it apart from cheaper alternatives. We’re pretty happy that Dr. Dabber decided to ditch wicked atomizers (the type that was included with the Ghost) altogether with the release of the Aurora – as we we’re never really fans of this style either. Even though this is the least advertised feature of the Aurora, it’s one that we think is certainly worth noting. 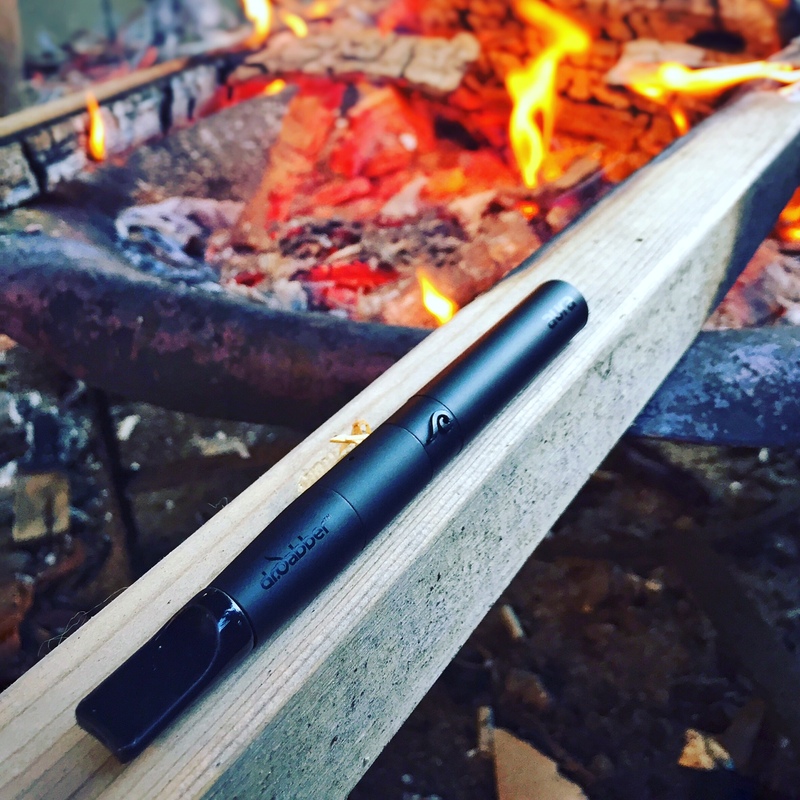 Instead of cheap plastic, the Auorra utilizes a ceramic mouthpiece – which doesn’t get as hot as plastic (or aluminum), and also looks a lot nicer in our opinion. The instruction booklet refers to the mouthpiece as also being ‘clog free’, which is something we’ll keep an eye on over time. The mouthpiece connects to the ‘airflow regulator’ (or chamber connector), which is vented to decrease draw resistance. Like the Source Orb and KandyPens Galaxy/Donuts before it, the Aurora features a variable voltage battery, which gives you the option to choose between three different heat settings. Once activated, clicking the power button three times toggles through the selectable settings (Green: Low Heat, Blue: Medium Heat, Pink/Purple: High Heat). Aesthetically, the Aurora is perfect. Unlike other shiny, glossy wax pens that stick out like a sore thumb, the Aurora’s matte satin finish is stealth, sleek and ultra-low key. It seems like nowadays manufacturers are ditching discreet designs for more over-the-top, flashy styles that just look plain tacky. We’re really happy that Dr. Dabber decided to keep things simple. As stated earlier, the shape of the Aurora is nearly identical to the Ghost (if it ain’t broke, don’t fix it), and features the same ‘d’ logo backit power button, ‘dr.dabber’ branding on the airflow regulator chamber, and ‘Aurora’ insignia on the battery. The bottom of the battery also bears the familiar ‘d’ logo, which is backlit to signify temperature setting. All in all, we don’t know what Dr. Dabber could have possibly done better when designing this little beauty. Aside from the addition of the SnapTech magnetic connection system, the Aurora isn’t all the different from the KandyPens Galaxy/Donuts or the Source Orb. While each is designed differently (aiming to appeal to certain demographics), the performance and functionality is essentially the same. Each feature temperature controlled batteries, each include (or are compatible with) advanced atomizers, and each feature above-average build quality. We think a lot of people will be attracted to the Aurora based on looks, innovation and brand recognition. With that said, we actually think the Source Orb might be a better overall value, as it includes seven different atomizers. However, the Orb is anything but discreet, and won’t appeal to everyone’s taste. 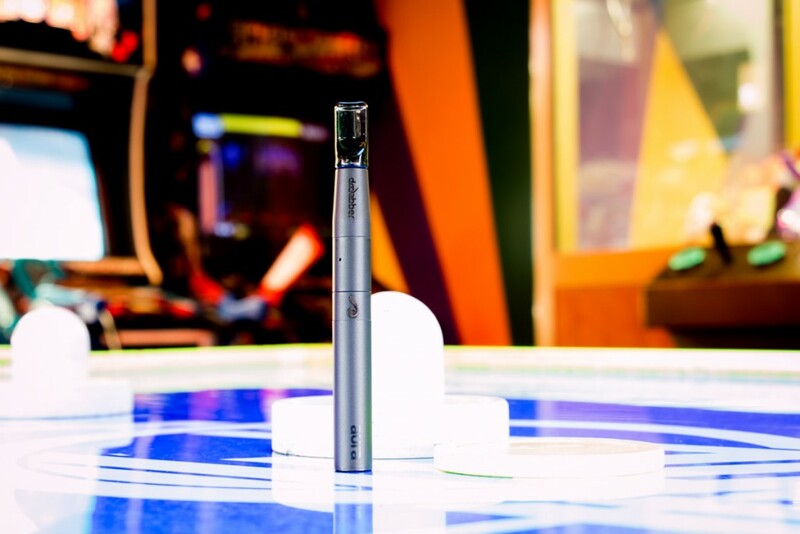 We like how Source thought outside of the box and broke from run-of-the-mill styling, but the Orb looks more like a magic wand than a wax pen, and may attract some unwanted attention when using in public. If you’re really trying to get the most bang for your buck, we recommend either the Galaxy or Donuts from KandyPens. While the Aurora’s battery is covered by a fairly standard 1 year warranty, KandyPens covers the Galaxy and Dontus batteries FOR LIFE! A lifetime warranty is pretty rare in this industry – and when you consider that vape pen batteries will almost certainly die on you within a couple of years, being able to get a free replacement is really amazing. All in all, we love the Aura, and have nothing but good things to say about it. Get yours today from this trusted retailer. The Aurora joins the KandyPens Galaxy and the Source Orb as one of our picks for best wax pen on the market. Sleek styling, fantastic performance and industry-leading innovations give the Aurora a leg up on the competition. Where can I find a new battery for my aura it charged a couple times and the piece that the battery connects to the atomizer came off and the wire is exposed I popped it back in and now it won’t charge. Your best bet is to contact Dr. Dabber directly, as not many online retailers are carrying replacement parts for this unit yet. I’m curious as to the cleaning process for these coils. Can I dunk ’em in 91% iso for a while like with the Ghost coils? That should be fine. You may want to reach out to Dr. Dabber first and see what they recommend though, just to be on the safe side.